Have you ever had those moments where you sat back and thought, “Wow… this is my kid!” C’mon, all you mamas (and daddys!) are sure to know what I am talking about. Like at lunch today when I asked Tristan if he’d like a piece of cheese and he replied, “No thank you mommy.” Considering he was barely talking a couple of weeks ago, it still blows me away when he pulls out a full-on sentence, complete with the manners! 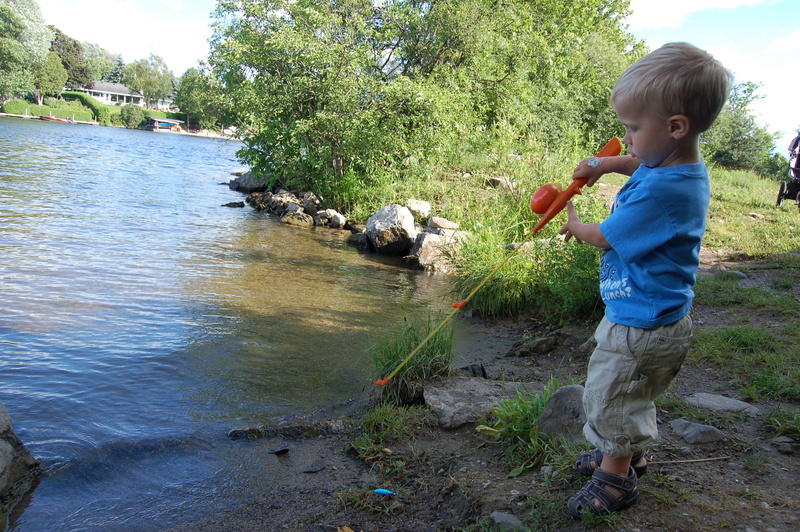 Or the time last week when we went down to the river to “fish.” He happily thrust his Diego fishing pole into the water for all of three minutes before it became much more fun to throw rocks into the water in excited anticipation of the resulting splash. 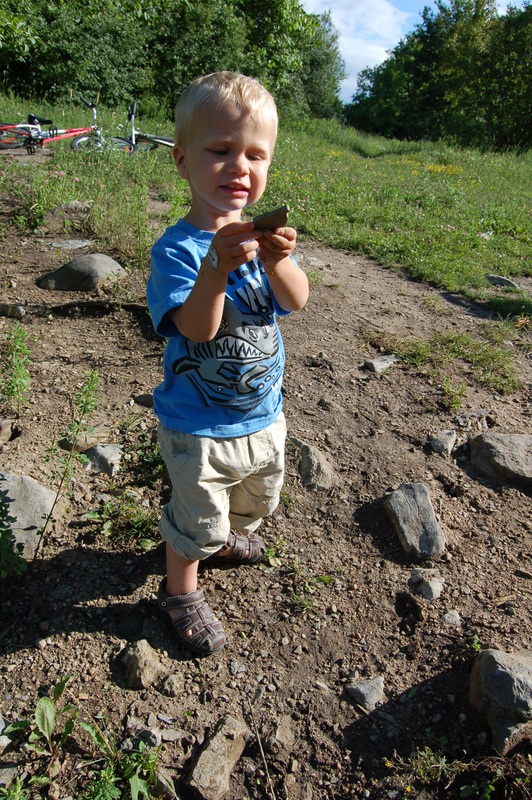 He picked one rock up in particular and proudly exclaimed, “Mama, diamond!” I turned around to see that he was in fact holding a diamond shaped rock. He astounded me even more when he rotated the rock to the side and confidently said, “square!” Uh, ya buddy, that IS a square now! I am constantly amazed each time he pulls out this knowledge that I can’t believe he actually knows! Then there are the moments that fill me not so much with pride…. but that I have to appreciate anyways. This week we went to Chapters on one rainy morning. Tristan got very excited when he saw Starbucks and called it out by name, knowing that a treat was coming (Not sure if this is a good thing or not!) As we were leaving, Tristan called out, “Mommy!” I turned around to see him holding his outstretched finger toward me. “A booger from my nose,” he tells me, innocent eyes gazing up at me, knowing mommy would know what to do about this unfortunate predicament. I cringed as I removed it from his finger onto mine…. EW. Not a proud moment but an endearing one none-the-less. 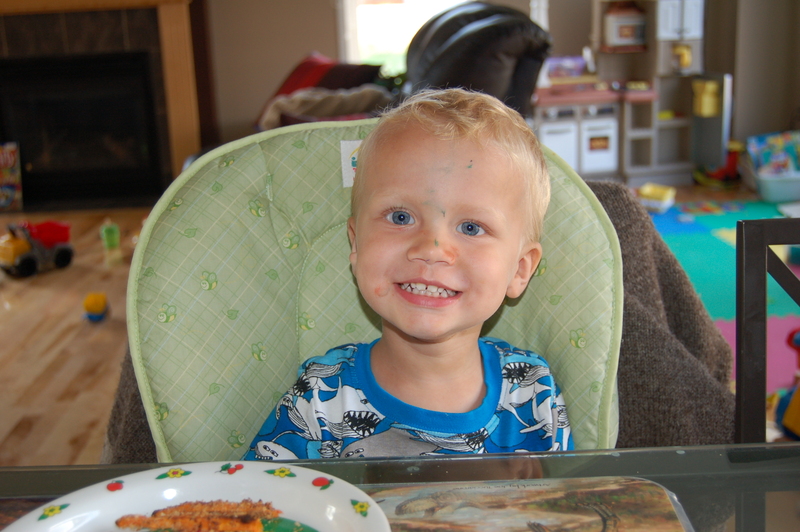 The toddler learning curve and the emergence of Tristan’s awesome little personality amaze me a little more each day! You are currently browsing the A Mom Like Me blog archives for July, 2010.